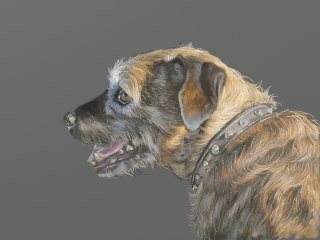 Lucy Turmaine is a professional artist, base in Ruby Country specialising in animal portraiture & paintings. In the past 30 years she has amassed hundreds of satisfied customers both nationwide and on the continent. 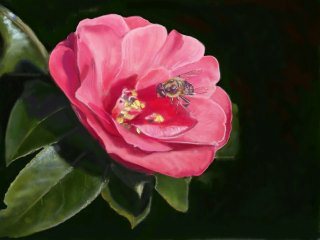 The majority of her work is in pastel, although she also works in oils, chacoal & , more recently digital media. Concentrating mainly on commissioned pieces, Lucy has exhibited only lightly. 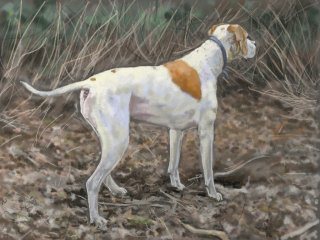 Joint exhibitions she has participated in include Christies, London with the Society of Equestrian Artists, The Wharf, Tavistock & Salar Gallery, Hatherleigh. Lucy has a selection of cards & prints available and, new for 2012, handbuilt ceramic character animal figures & pots. Visitors welcome by appointment. 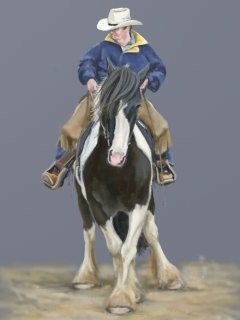 This entry was posted in Arts and crafts and tagged artist, Devon, Hatherleigh, Holsworthy, Horse riding, horses, ruby country. Bookmark the permalink.